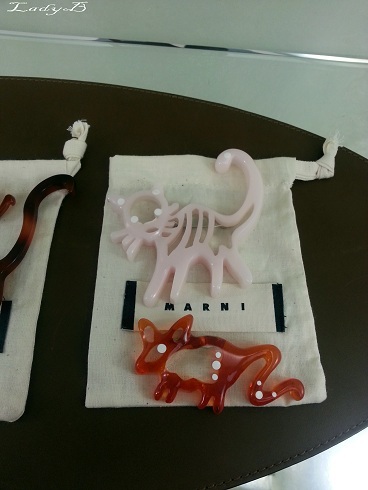 Marni : Fancy A Me-Ow ~ ! 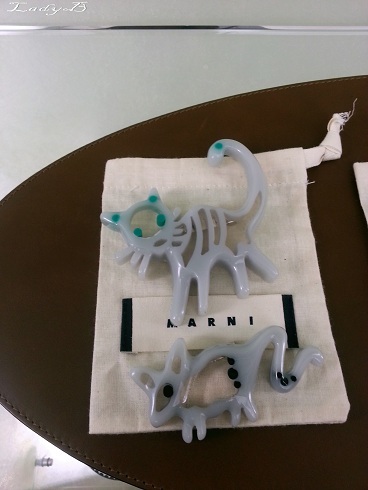 It came in three different colours, could give plain jackets, shirts or even t-shirts a playful look..
Another collection of brooches which featured a roaster and a kitty, I had a hard time decided which one to get.. 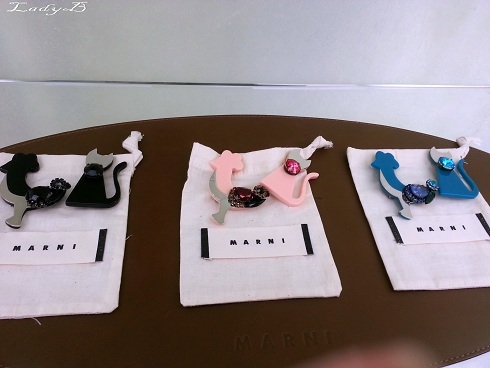 It was adorned by sparkly crystals if you want something a little more fancier than the previous ones.. 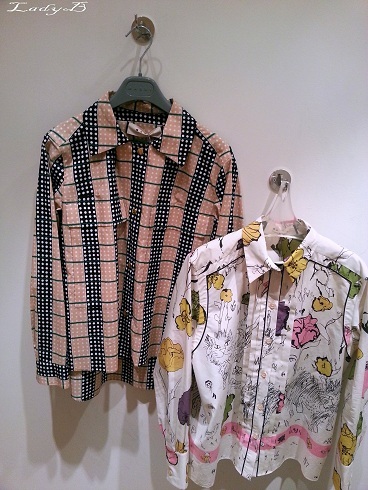 Crisp cotton shirts, fresh and nice colours just in time for spring..
Can be worn with a pencil skirt in a contrasting print or if you fancy something a little less daring a pair of denim would do with funky heels ! 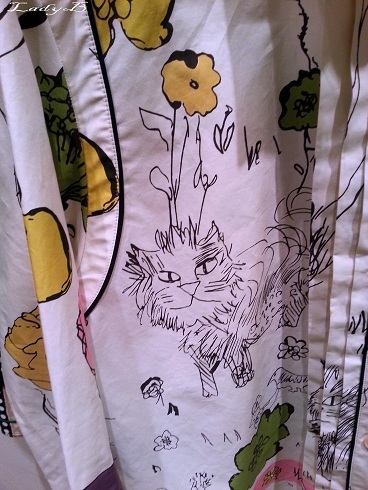 Notice the kitty illustration on the shirt, that my lovelies made it a winner piece for me!